Picture this. 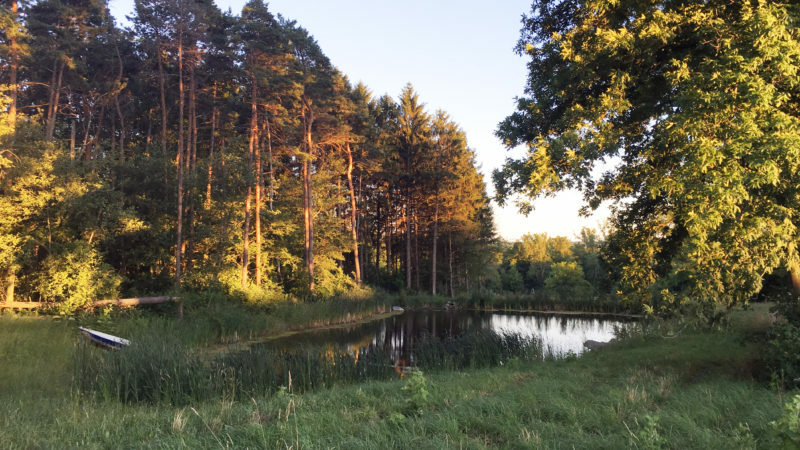 You’re camping with friends next to a tranquil pond stocked with fish. You smell steak cooking on the campfire. The breeze in the giant pines creates a soothing sound as you sway in the hammock. Then you hear…a cow mooing softly in the distance? Yes, that’s because you’re camping in a forest at the edges of a 110-acre dairy farm. “The dairy industry isn’t what it used to be. Milk prices are down. Milk imported from other countries is flooding the market. 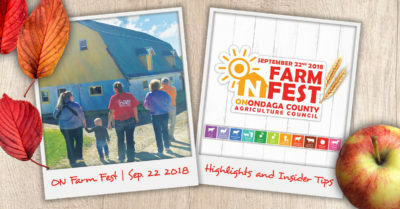 For our family business to survive, we got creative,” said Charles Griskauskas, a 3rd generation farmer and owner of CBG Farm on Bussey Road in Onondaga Hill. 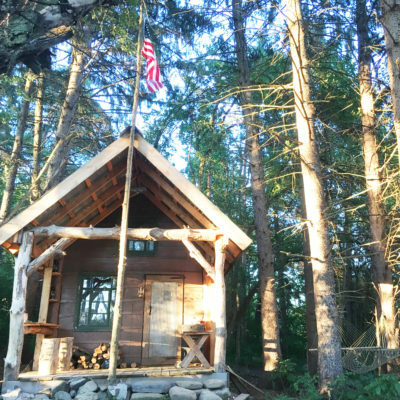 Somehow between managing a herd of nearly 150 cows, Charles found time to build a log cabin, custom-built grill with an applewood smoker, and clear 3 additional campsites on his property. The sites at Shady Pines Camp are available for booking through HipCamp.com, a company that specializes in helping ranchers and farm owners offer camping experiences. 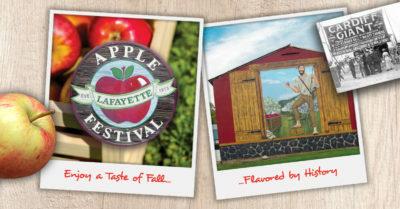 “Aside from the cows grazing on the hillside, you won’t know you’re on a dairy farm. But we invite campers to experience our daily farm life if they want – at no extra charge. They can meet our cows and even milk a few,” added Charles. And what exactly is daily life like at CBG Farm? It starts at 3:30am when Charles gets up and heads to his office in the barn to make his daily list. 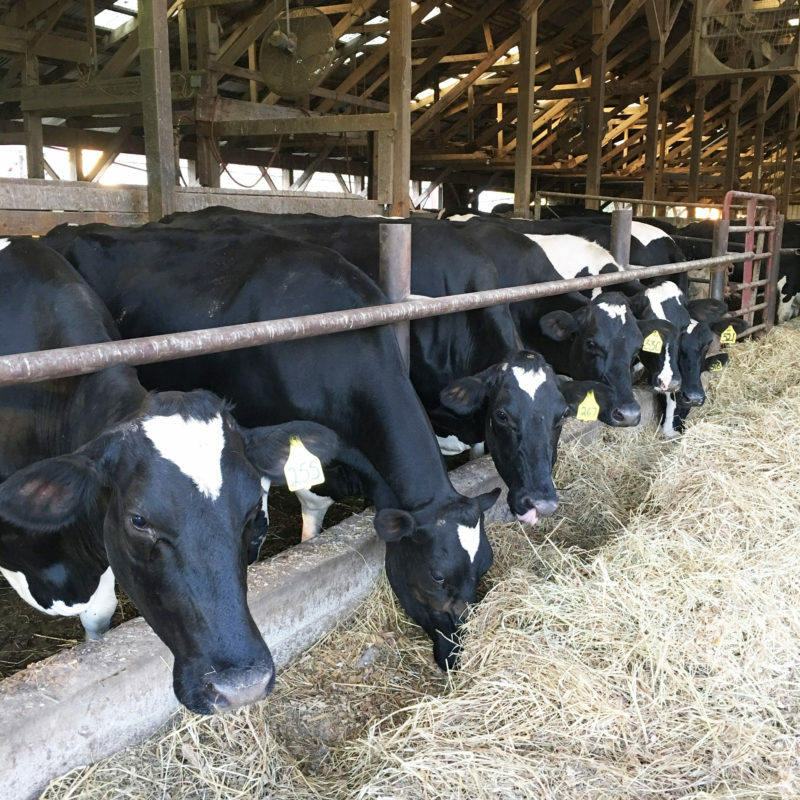 Every single day includes feeding and milking the herd (twice a day), plowing or cutting the fields, and checking cows to ensure they’re healthy and comfortable. Charles also notes that at least one piece of farm equipment always needs fixing! “This is my life – and my family’s legacy. It’s hard work, yes. But I wouldn’t have it any other way. 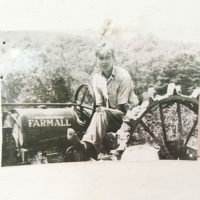 My grandparents were farmers who emigrated to Connecticut from Lithuania in 1907. 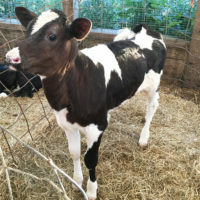 They were vegetable farmers, but my father got into raising Holsteins. 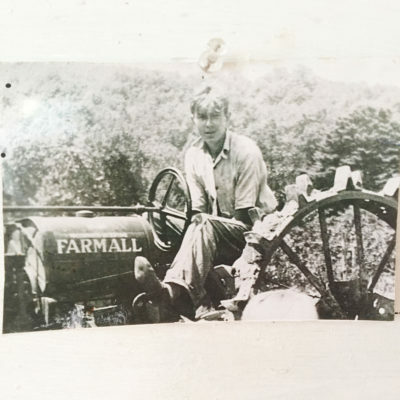 I grew up as a dairy farmer and now my sons are dairy farmers, too,” explained Charles. When milk prices started dropping a few years ago, Charles was forced to sell off half of his herd – and let his labor go. Today, Charles and his two sons Nick (19) and Chris (14) singlehandedly manage the entire farm. 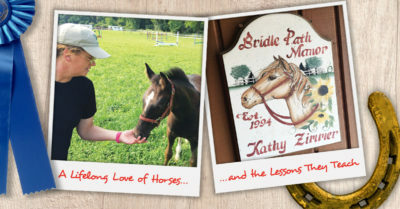 His wife, Becky, focuses on marketing the farm’s ventures. That includes Shady Pines Camp and another business avenue that Charles is excited about. 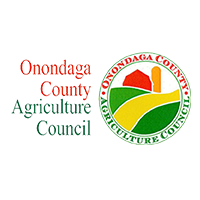 To start raising cows for beef, Charles turned to Cornell Cooperative Extension of Onondaga County, Farm Bureau, and the National Beef Council. But he also added his own unique twists. 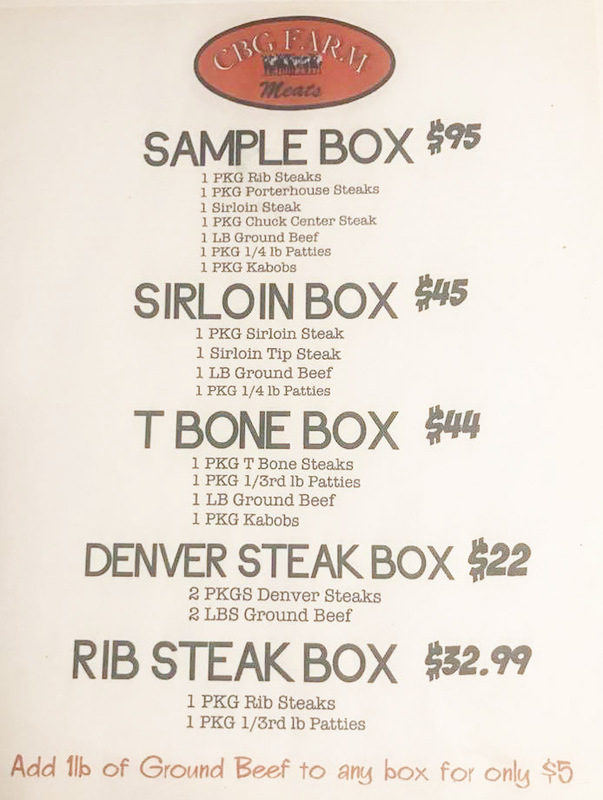 CBG Farm beef boxes start at just $22 for the “Denver Box.” That includes 2 Denver steaks, and 2 pounds of ground beef. 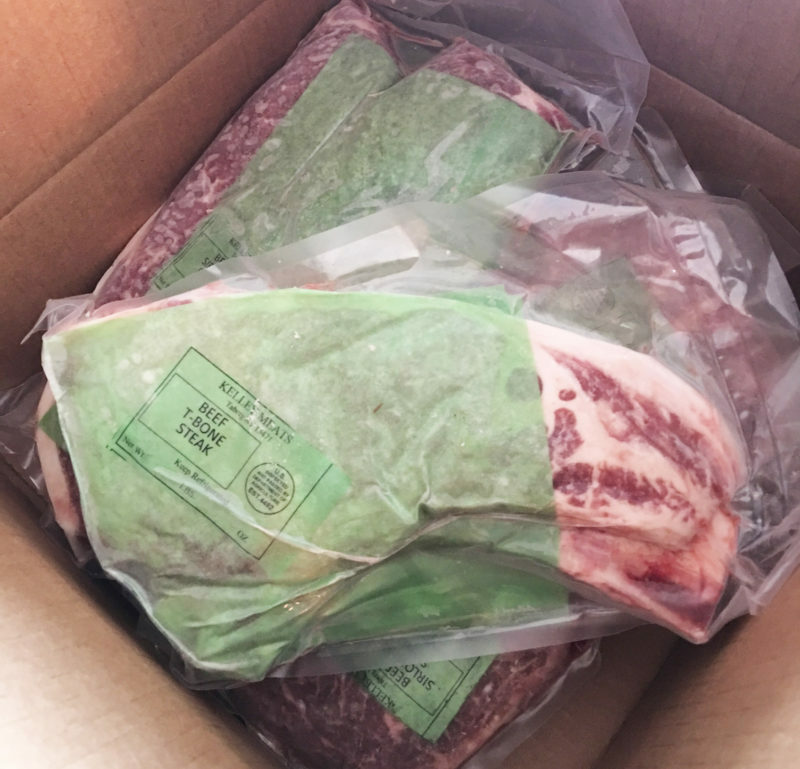 Each steak and the ground beef are vacuum packaged and sealed. After checking prices at local grocers, Charles’ prices are the same – if not lower. There are 3 additional boxes – all available for under $95. And ground beef is just $5 when added to any box. Charles and his sons raise their beef cattle from birth through processing and packaging, which is done at a USDA-inspected facility in the Syracuse area. “Our name goes on these beef boxes. It’s important to me that the quality and taste is top notch. It’s what our family eats. And I hope more people can enjoy it, too,” explained Charles. Reviews left on Facebook for CBG Beef echo what Charles believes about his product. I recently purchased some T-bone steaks and am very impressed with the size and quality. I would certainly recommend CBG Farms. 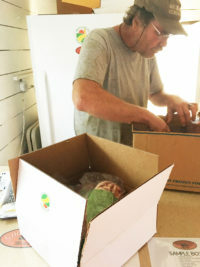 For those interested in trying a CBG Beef Box, Charles says they can message the farm on Facebook or call 315-420-9511. Then, take the trip to the rolling hills in South Onondaga and Charles (and likely Drift, the Border Collie) will greet you. Not a fan of dogs? No worries, Charles can put them inside before you arrive. You’ll step into a small store with bright, white-washed walls and freezers loaded with beef. 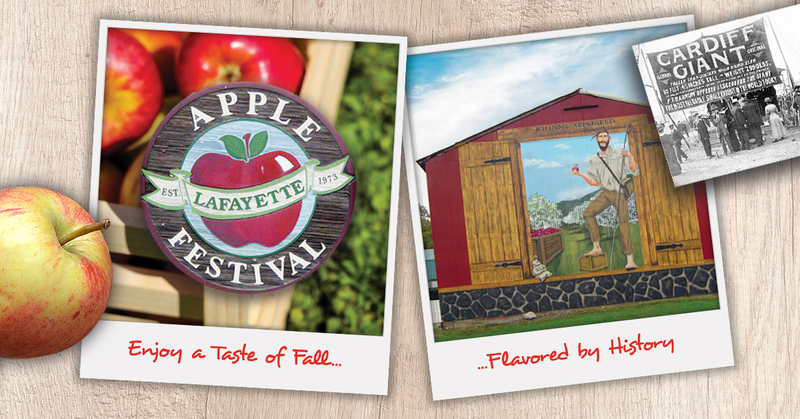 Grab a few recipes and prep tips from the literature Charles has gathered to help customers. Don’t be surprised when your beef is given to you frozen. Most locally produced beef is immediately frozen after processing, to preserve freshness. After visiting CBG Farm for a few hours, Charles ended the talk with a question. 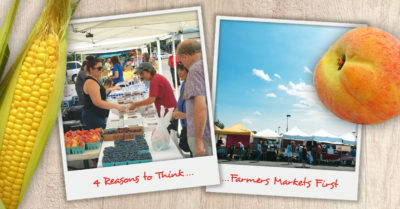 “I wish more people made the effort to buy local. Most of us eat meat. Wouldn’t you rather know that a family is raising your meat instead of a factory farm? I’m doing all I can to get the word out: dropping off flyers around the Onondaga Hill area and posting signs,” said Charles. 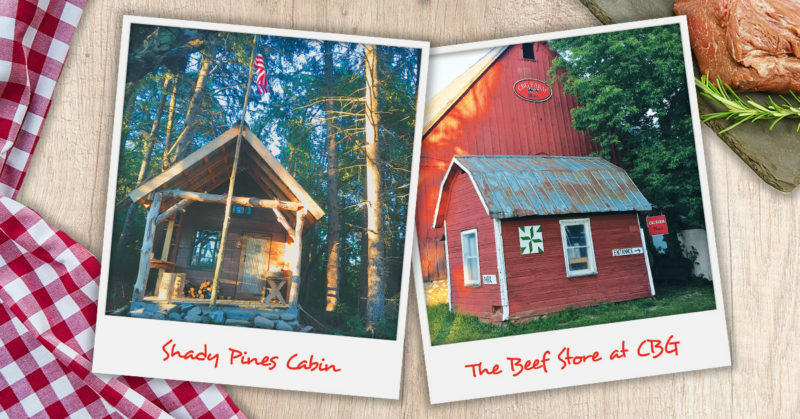 For Charles, the perfect customer would bring their family to camp on the land – and cook up one of his T-bone steaks on the grill or over the campfire.